Home › News blogs › Global Talent Recruiting › Global Talent Recruiting: Geography Matters! In a competitive global Talent market, an exclusive process and outdated or inflexible technology lets you down. When you are searching for scarce top talent, you are looking at a global labour market. With highly skilled people being as difficult to attract as they are, why would you constrain yourself? Yet, many organisations do just that, often involuntarily, through the design of their campaigns, job adverts, IT solutions, and choice of channels, as well as a non-inclusive employer brand. A recent article and infographic published by KDM engineering also shows that your chances on the global labour market are strongly linked to the country you are based in, which again determines your main source countries for highly skilled workers. Whilst I’ll be talking about the huge value to be gained from inclusiveness in Recruiting and other HR Processes in future blogs, let’s for now look at a few of the geographical aspects in global recruiting and the consequences for your SAP SuccessFactors solution design and Recruiting Technology in general. Is your location an asset or an obstacle to global talent recruiting? So, what does the report referred to above tell us? It’s analysing data from the UN and INSEAD’s Global Talent Competitiveness Index to compile a ranking of the 25 top countries, when it comes to attracting and retaining highly skilled talent. 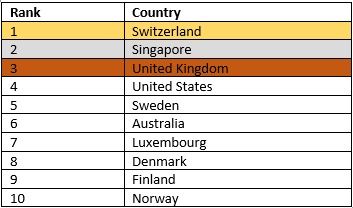 There are probably not many surprises in the top 10, though some people would have expected a country with a strong economy like Germany (rank 17) or with a high standard of living like Canada (rank 13) higher up. If you follow the link above you can see the full list of 25 and detailed ranks in different aspects including attraction and retention. So, what can you do, if you need top talent in Germany, which, as a country, isn’t quite as attractive as you might have hoped? There’s certainly some extra research to be done into the reasons and then you should try to mitigate some of the factors. Having lived in both countries for a while, I would imagine red tape being a malus point for Germany compared to the UK 14 places ahead, so you should offer candidates help to navigate that. But first and foremost, you mustn’t confirm perceived problems of your country with the candidate experience you offer. Position your organisation as an employee, who offers all the good things of the country, whilst defying the negative stereotypes. So, whilst you can’t single handedly change the perceived attractiveness of your country, you can still push your attractiveness as a global employer up and the technology and process you use in recruiting can help you to achieve this. 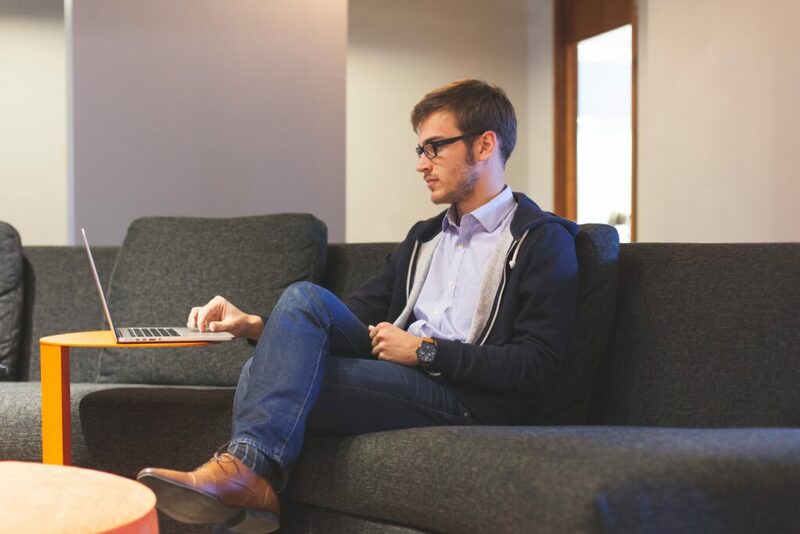 Whilst the recruiting module of a major competitor is known as the nightmare of global job seekers due to its inflexibility, there is no excuse to have a bad candidate experience in SAP SuccessFactors. I’m not saying it’s perfect, but it’s flexible enough to cater for the vast majority of international requirements, if implemented properly. If you still use a tier 2 recruiting solution, designed primarily for a local market, you should consider, whether that’s appropriate technology to support a global employer brand. If you are new somewhere, having a guide to show you around feels always good, right? In a way, this also applies to a recruiting website on the other side of the globe. To re-create the feeling of a personal guide, consider working with a chatbot that can be used in web browser, but also on platforms like Skype or WhatsApp. It can make a big difference for the candidate experience – not just for candidates from other countries. 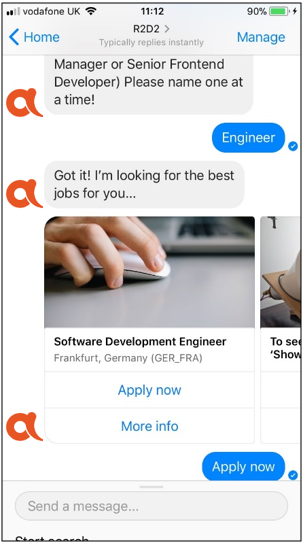 This image shows a chatbot from the German technology start-up Jobpal acting as SuccessFactors Recruiting front end talking to candidate on Facebook Messenger. Where do your top candidates come from? The next step the report takes is to identify the top 4 or 5 countries of origin of highly skilled candidates for each of the 25 countries on the list. Whilst the data presented has some gaps (it only considers the top 25 countries in the ranking as source countries – they call it “feeder countries”. This is probably the reason India is missing as a source country), it still gives you a very good idea. Make candidates from those 3 countries feel welcome. One example: if you ask for the university they got their degree from, make sure the main universities of France, Austria and the Czech Republic are included in your drop down list – nobody likes to be “miscellaneous”, right? If you have some budget left, also translate all the email templates. Again: it’s not strictly necessary, but a nice courtesy. A candidate from the Czech Republic would probably be positively surprised to be addressed by emails in Czech, IF it’s translated correctly. Note: many recruiters would look at this list and say something along the lines of “We are based in the Netherlands, but we get very few candidates from Germany despite this report saying it should be a top source, so there’s no need to adapt our process to cater for that market”. I would argue that the opposite may be true. If Germany is generally a good source for candidates in the Netherlands, maybe that particular employer is missing an opportunity and reviewing his process could change that. If you are not sure your current recruiting solution is up to the job, or if you are using SAP SuccessFactors already and want to do a review to attract better global candidates, e.g. by using Candidate Relationship Management or a Chat Bot, please reach out for a conversation. Sven Ringling is Director at Adessa Group in Germany and has been working with SAP HCM solutions for 23 years. As SAP Mentor Alumnus he has been on stage at several conferences, has written many blogs or expert pieces and has advised many companies in their HCM Roadmap. He is certified in several SuccessFactors modules and SAP HCM. Customers taught him that technology, process and human aspects are inseparably connected, and with the speed of change Digital Transformation is enforcing, organizations can afford to disconnect even less. We live and breathe that in our assignments. Whatever your current situation, he's here to help you from where you start, with the transformation Roadmap.